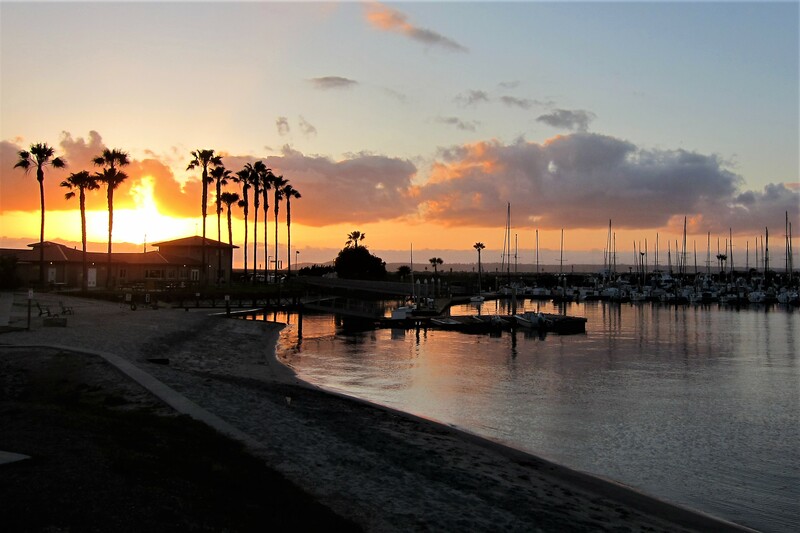 Monday, March 12, 2018: This morning we depart Catalina State Park and head toward the coast…looking forward to visiting our childhood hometown of San Diego, but we are going to miss the desert and its incredible sunsets. OK, full disclosure…I did not take this photo. 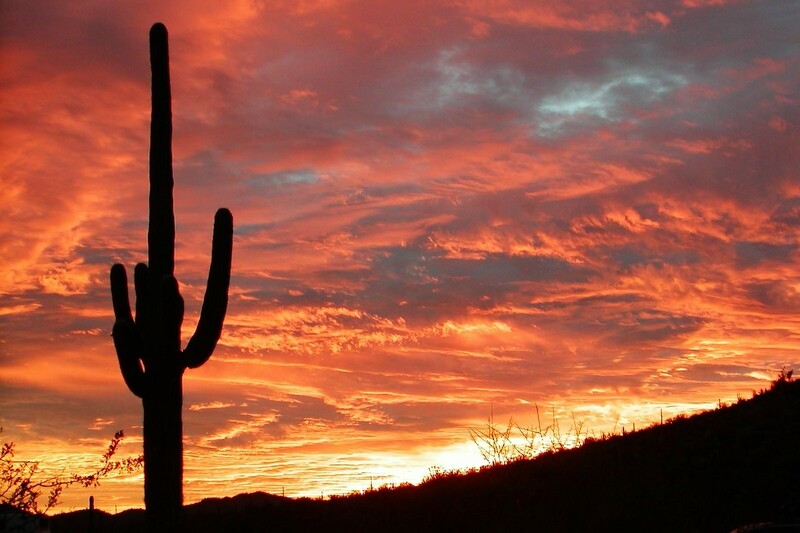 It was lifted from the National Park Facebook page, profiling Tucson’s Saguaro National Park. 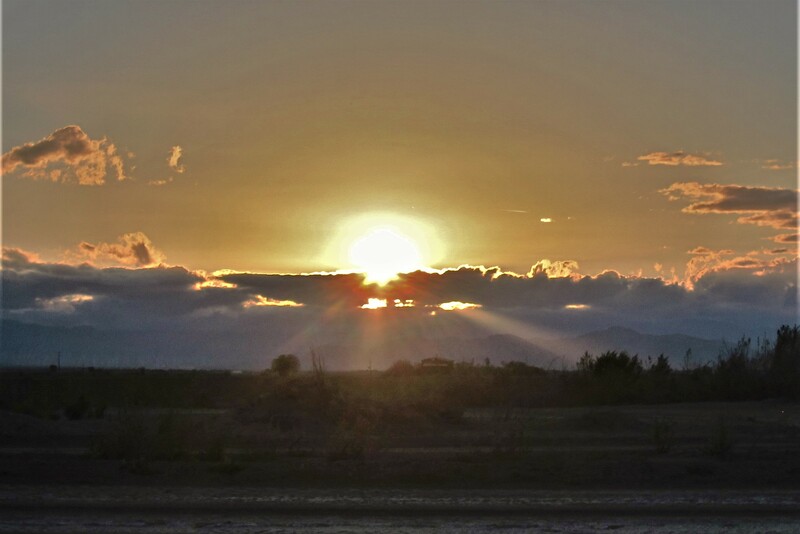 However, it does represent sunsets in the region we camped, and I really like the image…so, sue me! 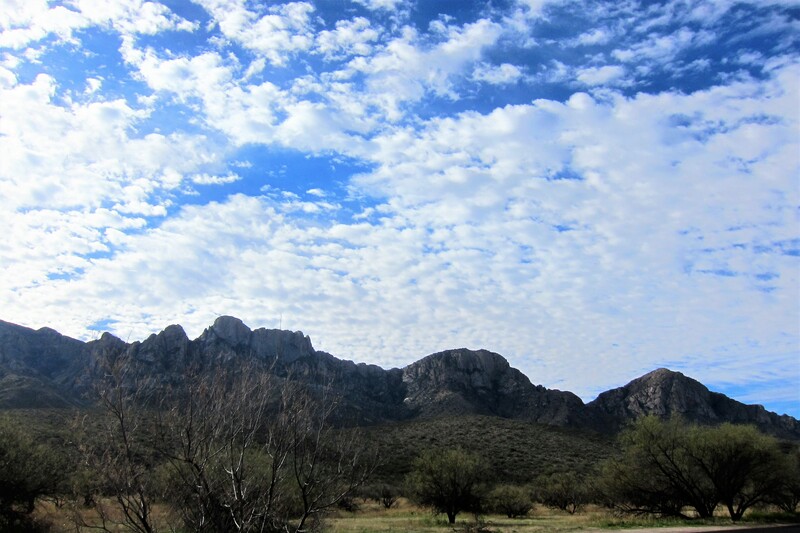 Departed the state park at 0900 hours and made our way through the Catalina Mountain foothills toward Interstate 10. 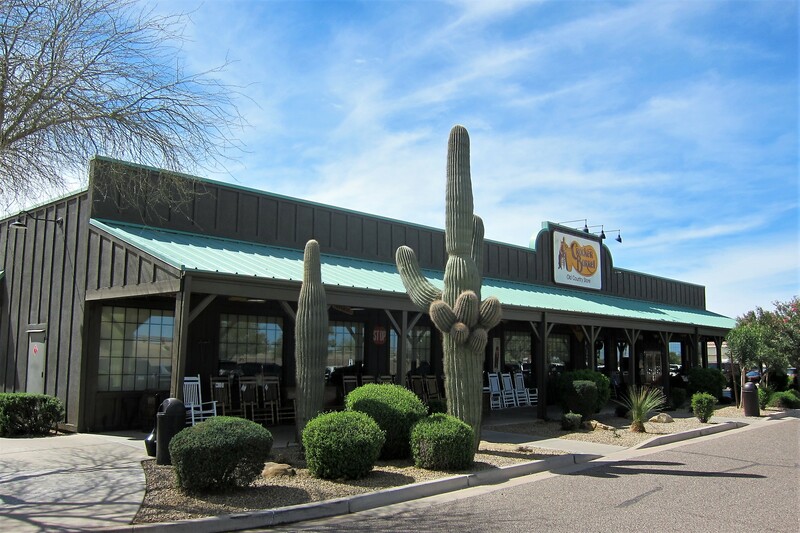 Cruising along the turnpike, we decided that since we departed before breakfast, and since a Cracker Barrell Restaurant was tantalizingly close, we could afford a stop and treat ourselves to a big country breakfast! The place wasn’t very busy so our very efficient and friendly waitress, spent some time visiting with us. 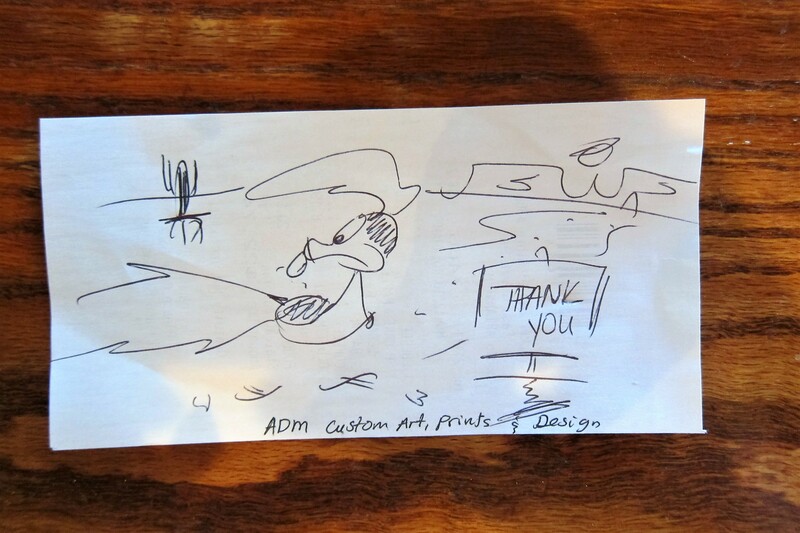 We noticed as she talked she was writing something on the back of our guest check, then left it on the table. I flagged her down to compliment her on the neat desert themed doodle, and learned she was a double college major…one of them being art! 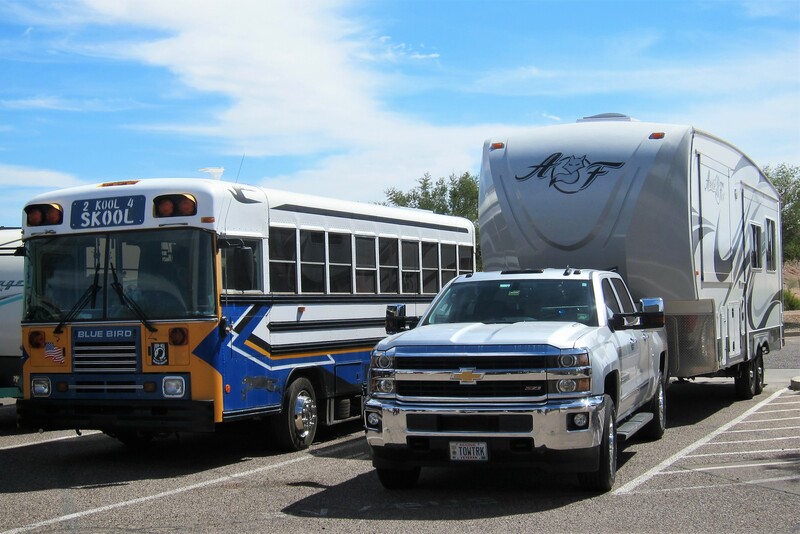 Back on the road, we quickly intersected Interstate 8 and made tracks for our traditional in-transit overnight camping opportunity at Gila Bend Air Force Auxiliary Field in the middle of nowhere. This spot offers an inexpensive, bare bones, military campground, that we’ve profiled many times before in our journals. Checked in, hooked up, enjoyed a meal and drinks, until the setting sun reflected off the side of our camper. Tuesday, March 13, 2018: Up to cloudy skies and temperatures in the low 80’s. 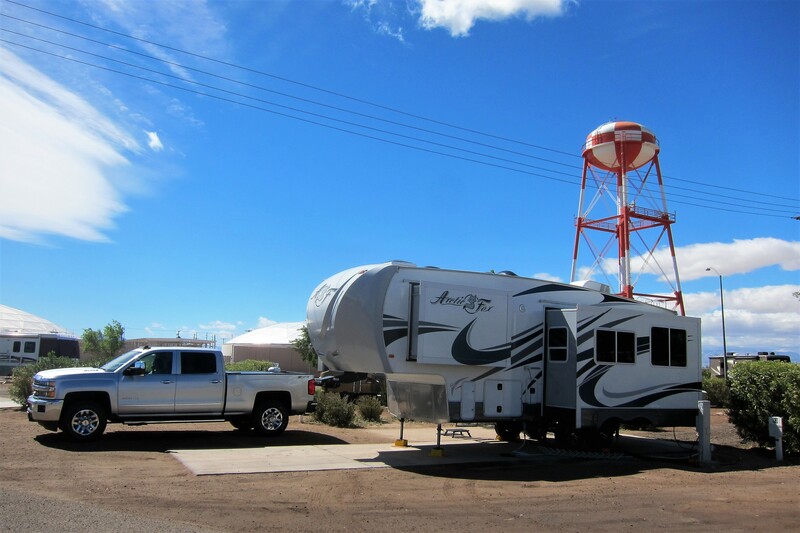 Broke camp and headed toward Yuma to meet up with some long time RV’ing friends. 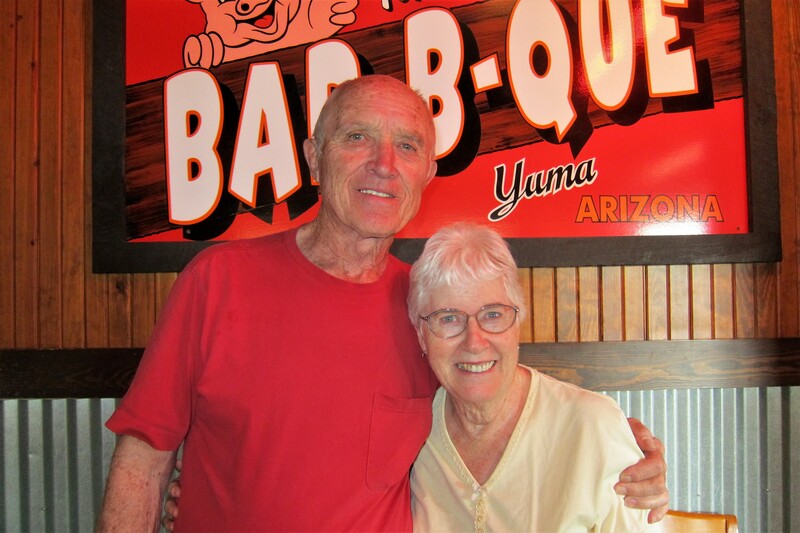 John Roger and Karen live in Bend, Oregon but winter over on BLM land outside Yuma. It was great meeting up with them and sharing stories of our lives over this past year. Back on I-8 we meandered westerly until reaching the town of El Centro, California where we plan to spend a few days taking care of laundry and other chores. Pulling into the local Naval Air Facility RV park we noticed a number of open sites, unusual for this time of the year. Apparently, the mild winter in the Northeast encouraged many snowbirds to head home early. Following dinner, and a cocktail, we sat outside as the setting sun bounced off some low hanging clouds. 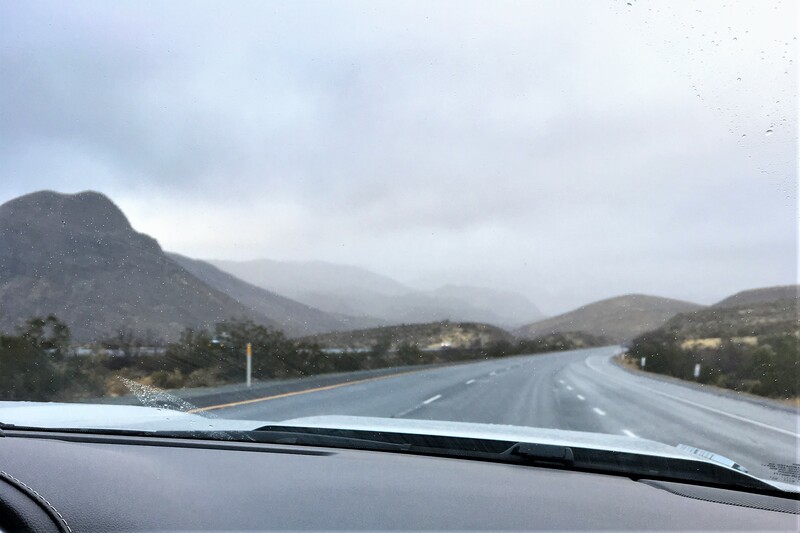 Wednesday, March 14, 2018-El Centro, California: Only planned to spend one night here, but a windstorm kept us pinned down today…a great day to stay indoors, get in some reading and journal writing, and basically just veg out! Around 0800 hours, the wind was clocked at 40 MPH and the gusts exceeded 55 MPH!! Yikes! Guess we made the right decision…not a good day to be on the road in a high-profile vehicle! I disconnected our truck from the trailer, so we could get in some shopping and refill a depleted propane tank. With the strong winds, the nearby farm fields were losing a bit of their soil. 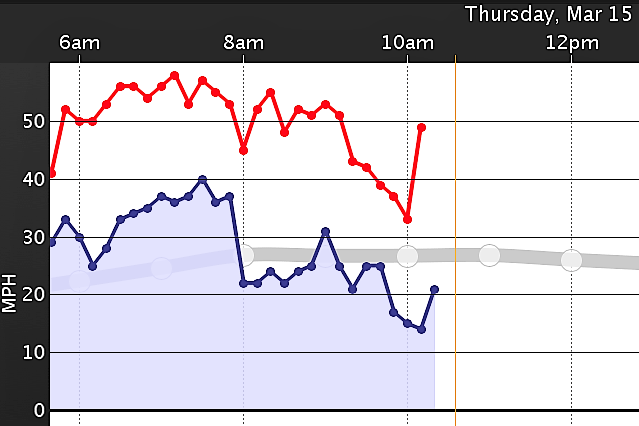 It looks like there will be a lull in the storm early tomorrow morning, so I reattached the truck and camper, disconnected all the utilities except power, and basically prepared for an early departure. 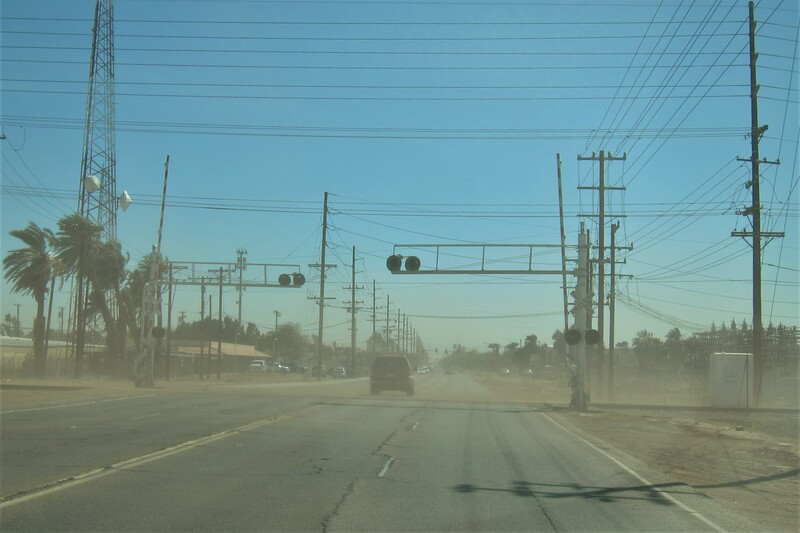 Thursday, March 15, 2018: On the road at 0705 hours under hazy skies and brisk winds. Found our way to I-8 and headed west toward the Cuyamaca Mountains. The wind was predicted to increase from the southwest, accompanied by a rain squall, as a cold front came through. This portion of Interstate 8 can be very hazardous in high winds, and even more so if the roadway is wet. We figured that there was a fairly narrow weather window of opportunity to navigate the mountain highway, so we didn’t dally. 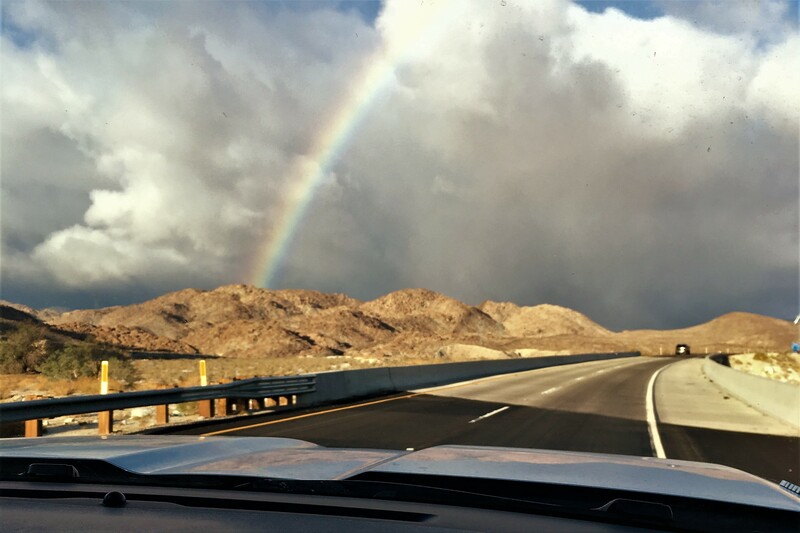 As I drove with both hands on the wheel, Kit was able to snap a photo with her iPhone of the sunlit highway and the rain clouds beyond…she even captured a rainbow that stretched from horizon to horizon! We were actually making too good of time, and there was a concern that we may encounter very high winds and heavy rains at the summit. So, I reduced speed, put on the four-way-flashers, and crawled up the steep mountainside along with about a half dozen long haul truckers. The scheme worked, as we came to our offramp at the small town of Boulevard with minimal buffeting and only a few sprinkles. Once leaving the interstate and heading south, we were in the lee of the mountains and the wind abated. At around 0930, Kit and I pulled into the village of Potrero, California and found our way to its namesake state park. Then all heck broke loose…wind, rain, and a bit of surface flooding! So much so, that I didn’t bother to set up for our stay but rode out the storm from the safe and dry confines of our camper. It rained throughout the afternoon, so we just sat inside, read, enjoyed dinner, and turned in early…goodnight. Friday, March 16 and Saturday, March 17, 2018-Potrero State Park: Woke to a beautiful morning in one of our favorite county parks. The rain stopped during the night, and the sunshine was quickly drying everything out. I was able to disconnect the rig and connect the utilities. 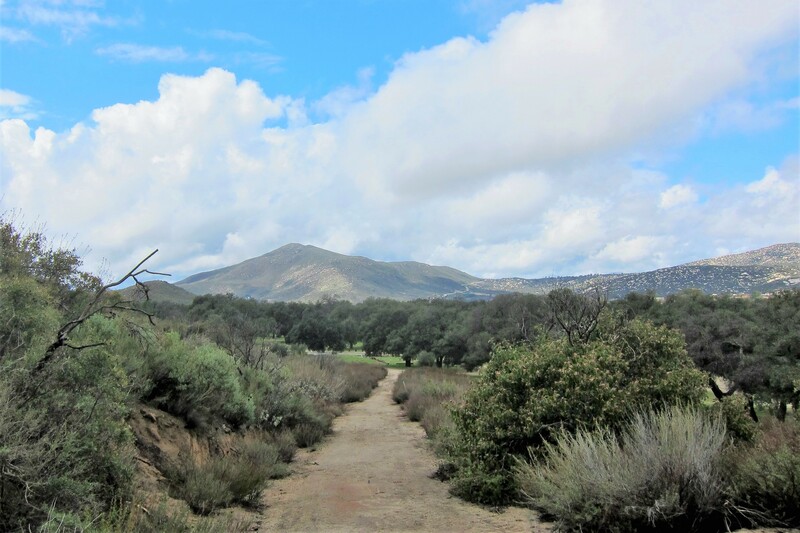 Potrero, California is in the Mountain Empire region of Southeast San Diego County and at 2,336 feet in elevation, the vegetation is lusher then in the coastal areas to the west. A rural and peaceful community, Potrero was embroiled in controversy a number of years ago when the quasi-military firm, Blackwater USA, of Bagdad atrocities fame, applied to purchase land and were approved to establish a weapons training facility for its employees…much to the displeasure of the locals. 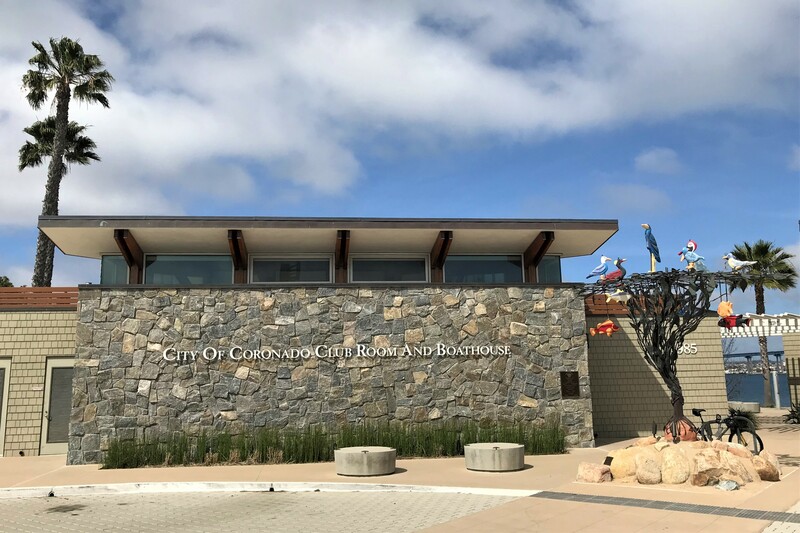 As a result, the citizens of Potrero launched a recall campaign that forced all five members of the local planning board out of office, and the Blackwater training facility was cancelled. 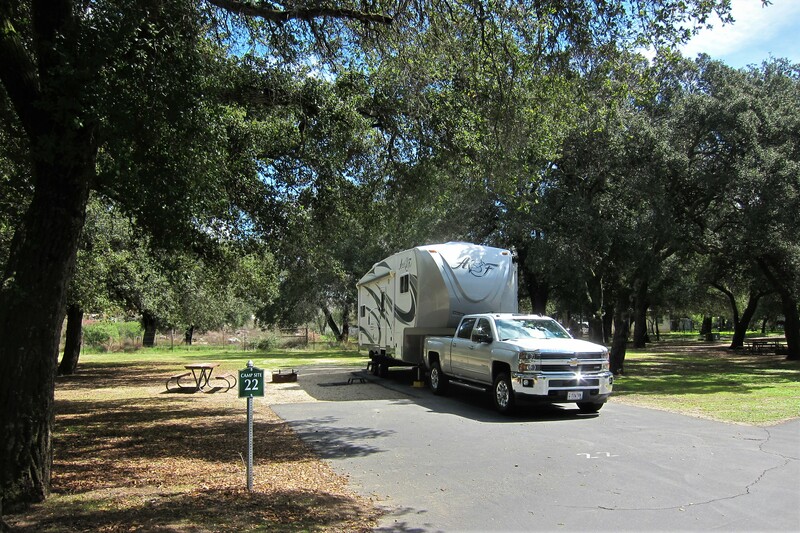 The park was lightly populated for a nice California weekend, so we were able to select a private and roomy site. I love walking in the woods after a heavy rain…everything smells so fresh and the pungent odor of the vegetation is intoxicating. So, while Kit relaxed at camp, I struck out on one of the many trails that honeycomb the park. 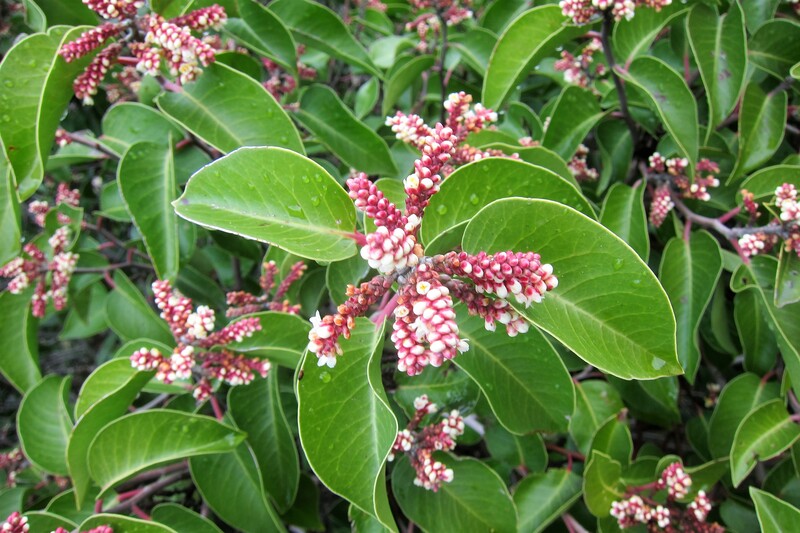 All along the trail, I kept noticing these bushes covered with unique looking flower buds. Not sure what they are, but the fragrance was incredible! The walk was only a few miles long, but I thoroughly enjoyed getting out in the refreshing mountain air! 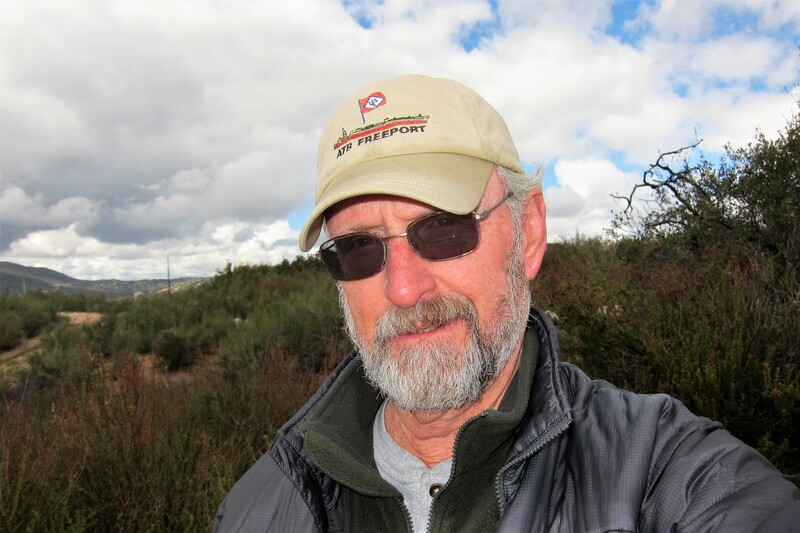 Our high school friend, Rod and his wife Gloria, live a few miles away in Tecate, Mexico. Gloria has just lost her 102-year-old mother a month ago. 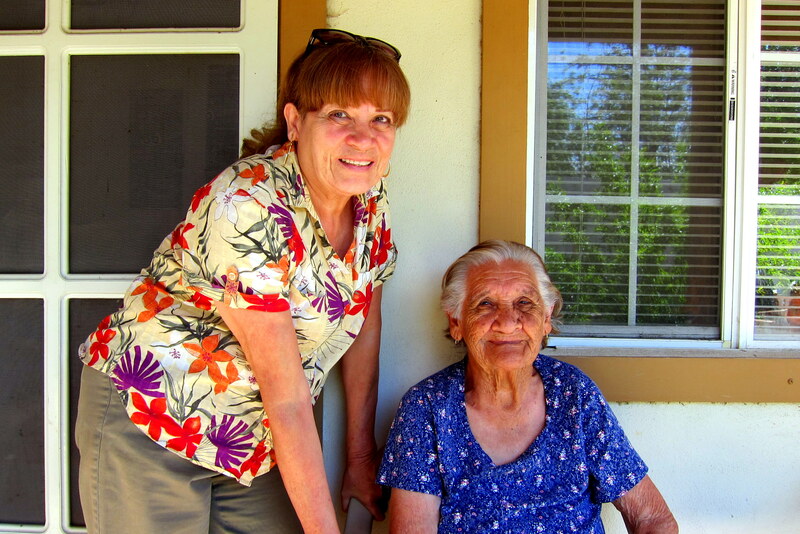 We met Minga on one of our earlier trips south of the border and found her to be a delightful woman. We invited Rod and Gloria to a barbeque at our campsite, but Gloria was battling a cold and wasn’t up to attending…however Rod did slip across the border for a few hours to join us. After, a nice steak meal, we sat around enjoying a few beers and reminiscing about old times in the old neighborhood…and our various shenanigans to ditch school and go surfing. It was a much simpler time in 1960’s San Diego…the school officials let kids get away with some things, especially heading to the beach if the surf was up, because many of the teachers enjoyed the sport as well. Speaking of sport, the winds were favorable coming across a large grassy field in the park, so I was able to introduce Rod to the sport of high performance kite flying! We started him out with a 1.5-meter parafoil kite which he was able to figure out in short order. Then transitioned to one of the delta kite’s. Which gave Rod a bit more trouble, however he figured out the basic maneuvers on that one as well! 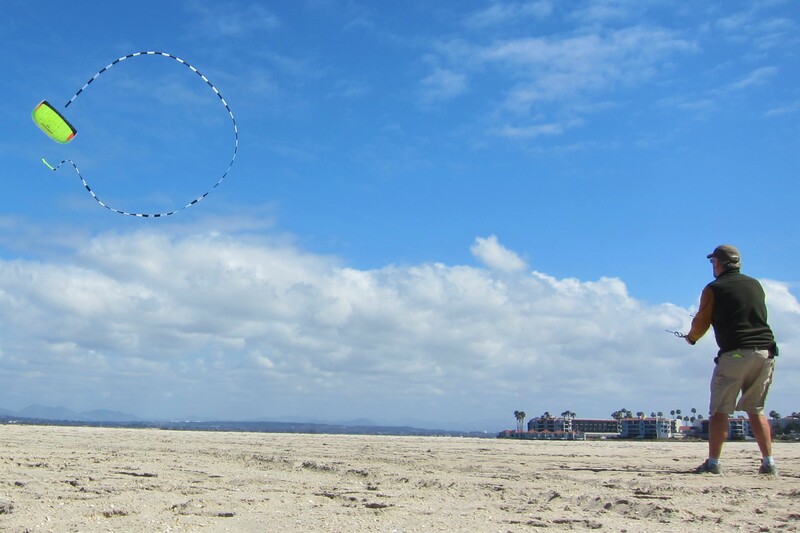 You may notice the two kite strings, known as a line-set, attached to the kite. 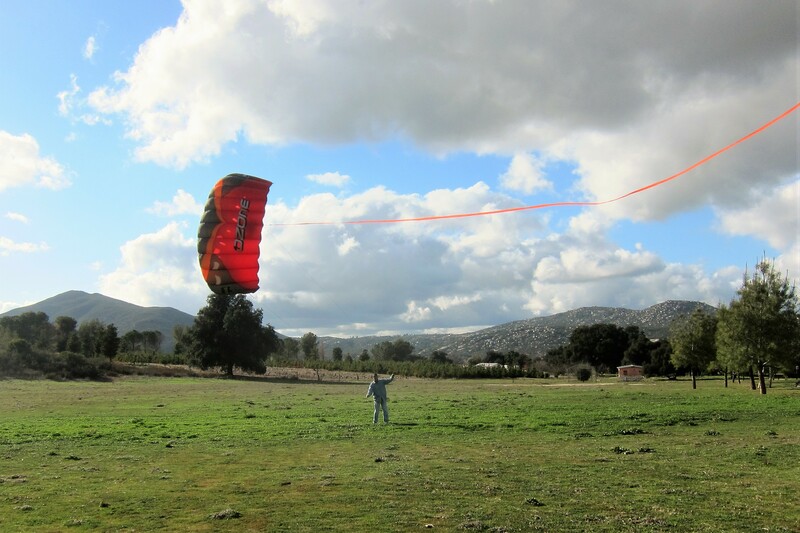 Those allow the flyer to control the direction and speed of the kite and facilitate a number of aerial tricks. 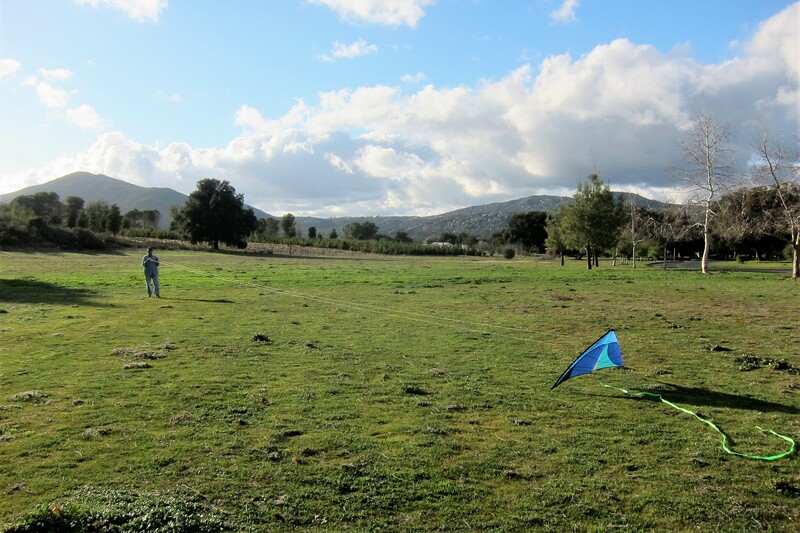 Rod seemed to have a great time flying the kites, and a few days later texted me that he had ordered a foil kite for himself…another kite flyer is born! 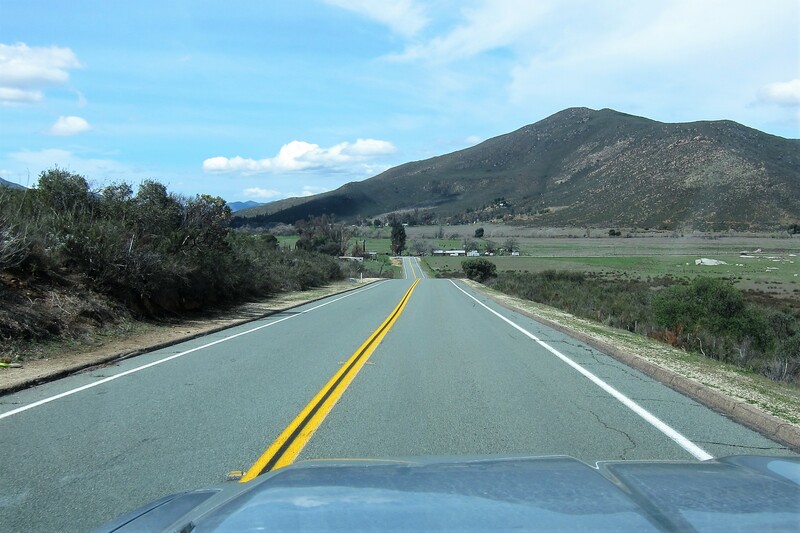 Sunday, March 18, 2018: Kit and I departed Potrero County park at noon and wound our way west on California Highway 94. This narrow, winding road with little traffic is a prime magnet for sport bike riders to test their mettle. Piloting a large cumbersome vehicle as I do, I’m constantly aware of fellow travelers that I may be holding up and pull over to let others pass when it is safe to do so. Most wait patiently, but some tempt fate by passing when the road ahead is obstructed. Sadly, a few riders have met their demise on this stretch of road over the years. 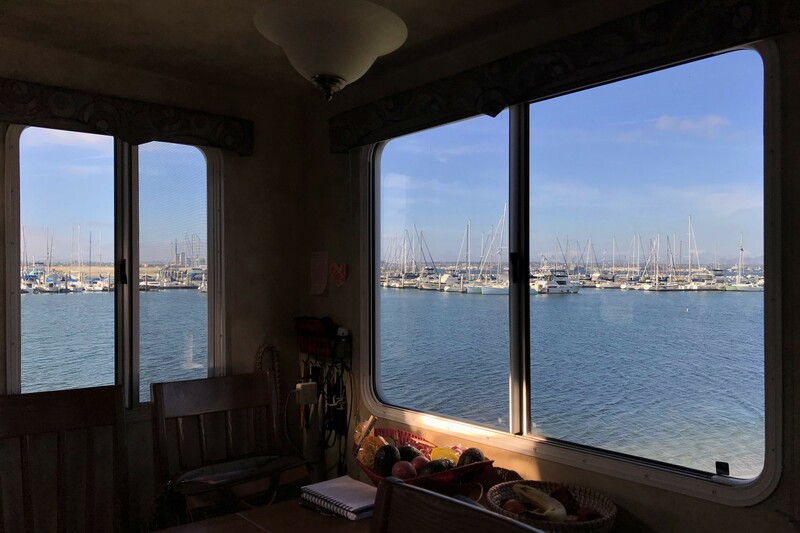 We navigated through Imperial Beach and turned north up CA-75 toward the City of Coronado, and our destination for the next few days…Fiddlers Cove Marina and RV Park. 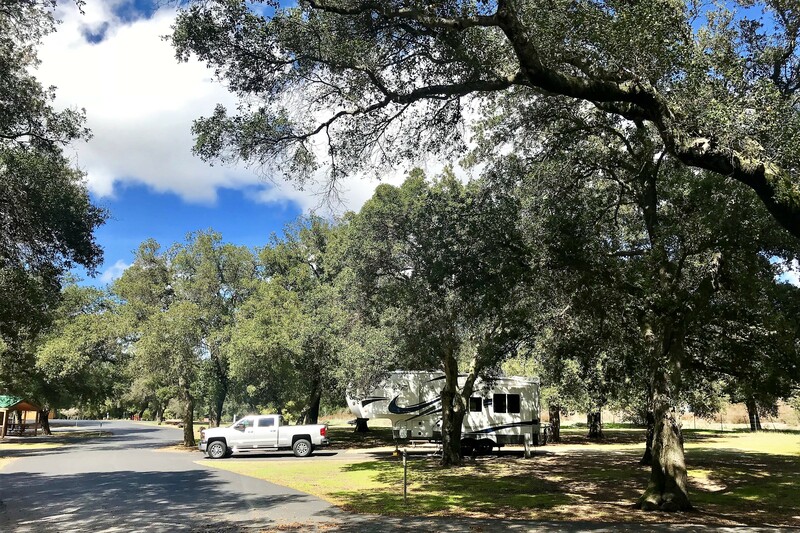 This is one of our favorite military RV parks in the system…it is also very popular with folks that reside near this Navy community, and therefore difficult to get into. 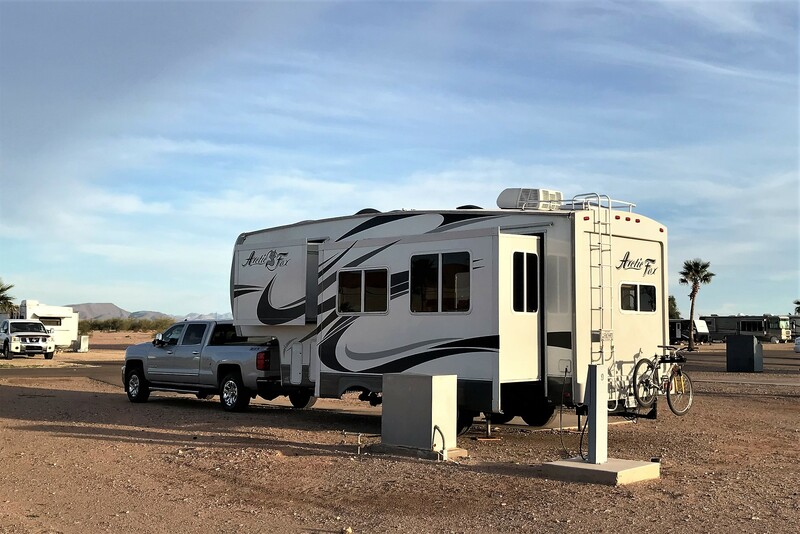 Some campers reserve a year in advance, but that’s not our style, so we just call periodically and hope to score a site from a cancellation…as we did this time! 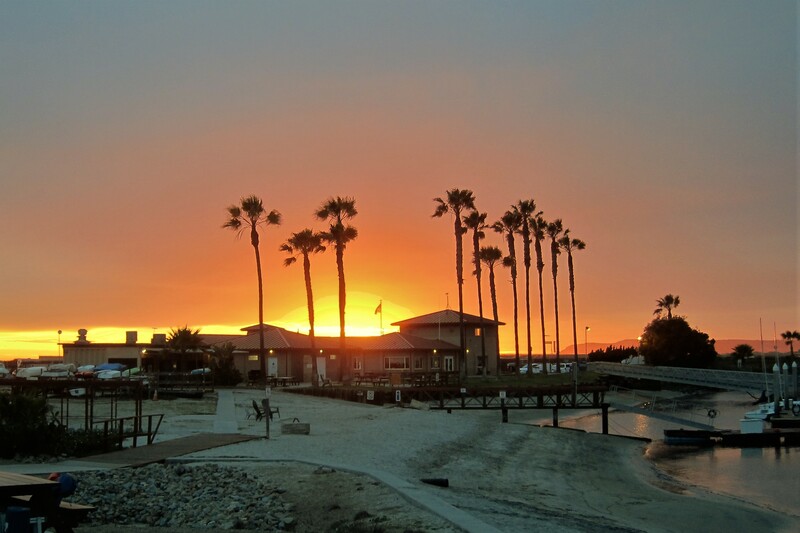 In addition to great RV sites, a large fleet of watercraft to rent, and close proximity to the resort city of Coronado, the park is situated to enjoy some very nice sunsets! So, with cocktails in hand, we bid you all a goodnight! 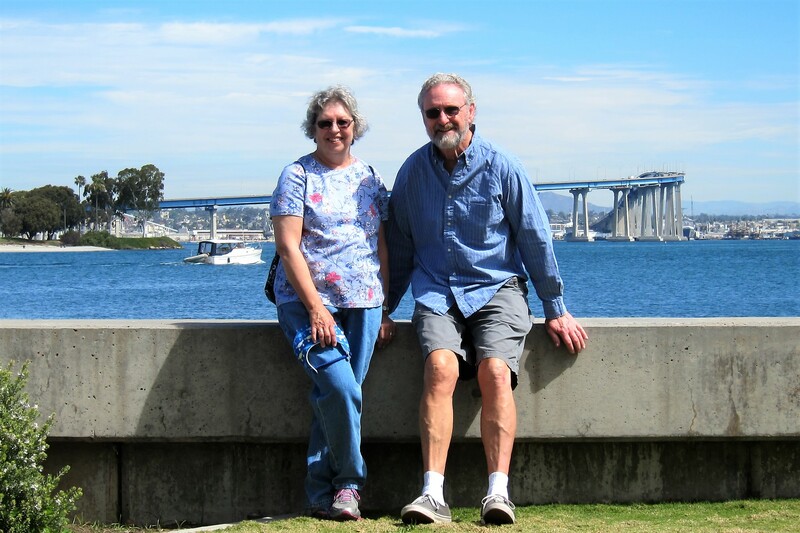 Monday, March 19, through Saturday, March 24, 2018-Fiddelers Cove, Coronado, California: Kit and I have decided to use our six day stay in this area as our ‘vacation” from being on the road…seems odd that retirees would need a vacation, but we have learned that occasionally we need time to relax, recreate, and otherwise goof off. We did enjoy a few meals in town, but for the most part, we cooked at the camper…illustrated by this fine breakfast made by Kit. 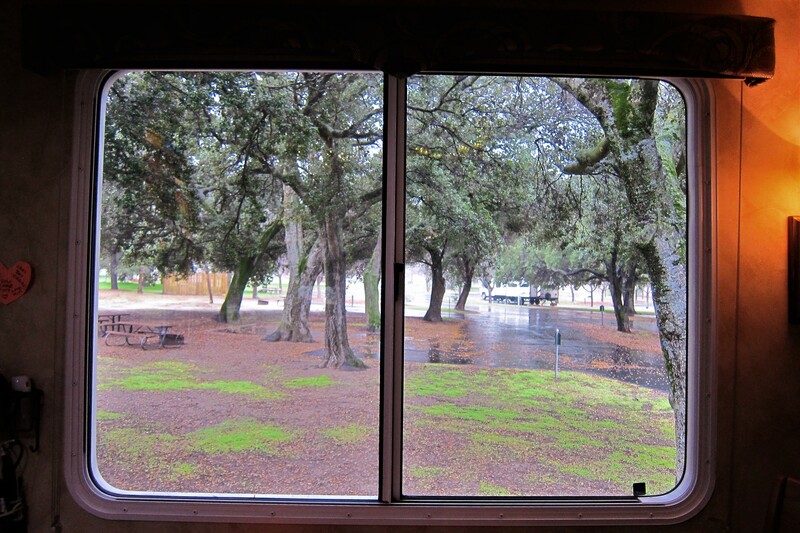 Which was even more enjoyable since we had views like this from our dining room table. …and that’s where we were! 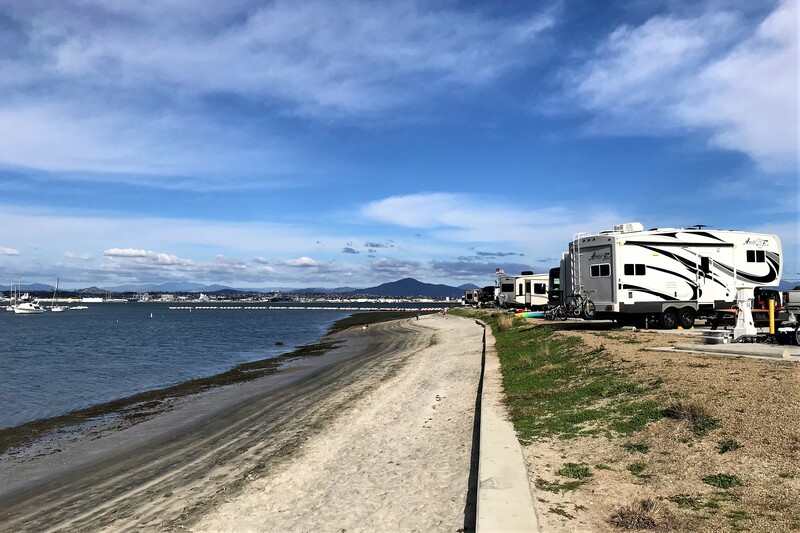 There is a walking and biking path that goes by the RV park and leads right into Coronado, which is about 2 miles to the north. Kit and I left early one morning and walked that path to town. Along Glorietta Bay, there are vast lawns, picnic shelters, boat ramps, marinas, and a municipal boathouse that rents paddle and sail craft. 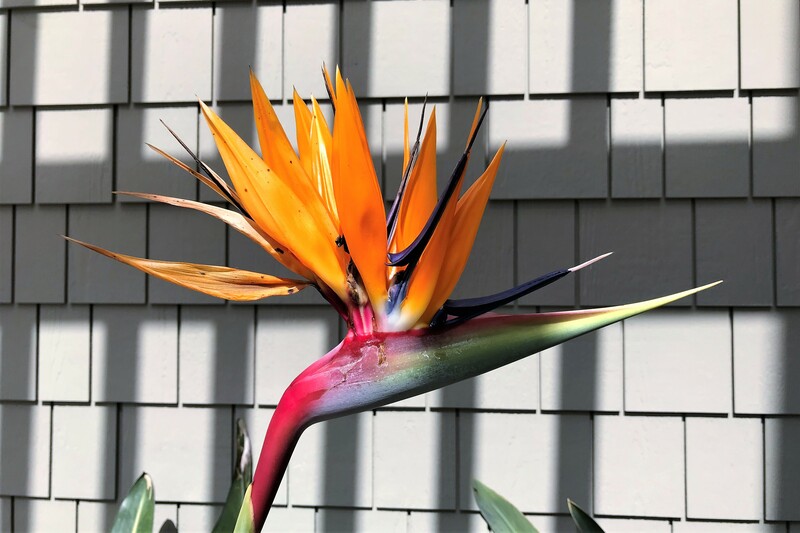 The landscaping is first rate, and at this point in the year there were many flowers blooming, such as the Bird of Paradise. 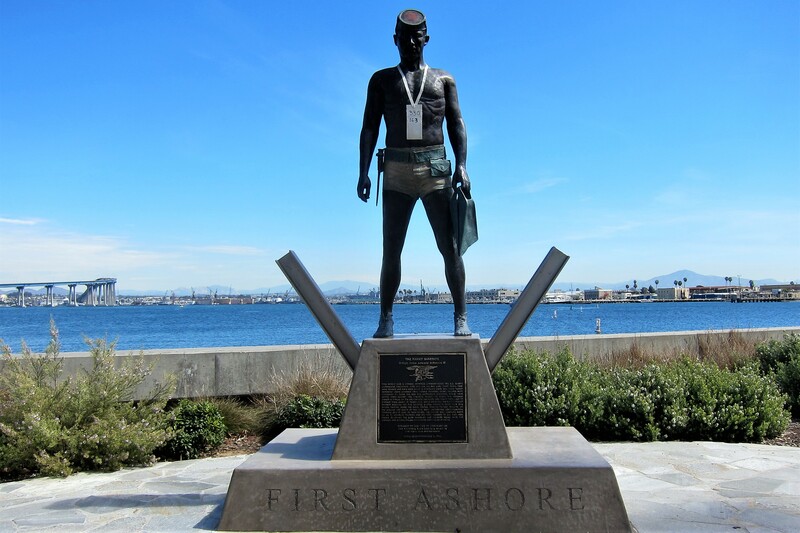 A new sculpture has been installed on the waterfront honoring the US Navy’s UDT and the Seals. The card hanging around the statues neck has two numbers written on it…the top number notes the BUD/S (Basic Underwater Demolition/SEALS) class in session, and the bottom signifiers the number of students that have been dropped from that class. The drop statistics are updated frequently as the failure rate from BUD/S is near 80%. Near the small boat launch I came across a young man unloading this piece of equipment. 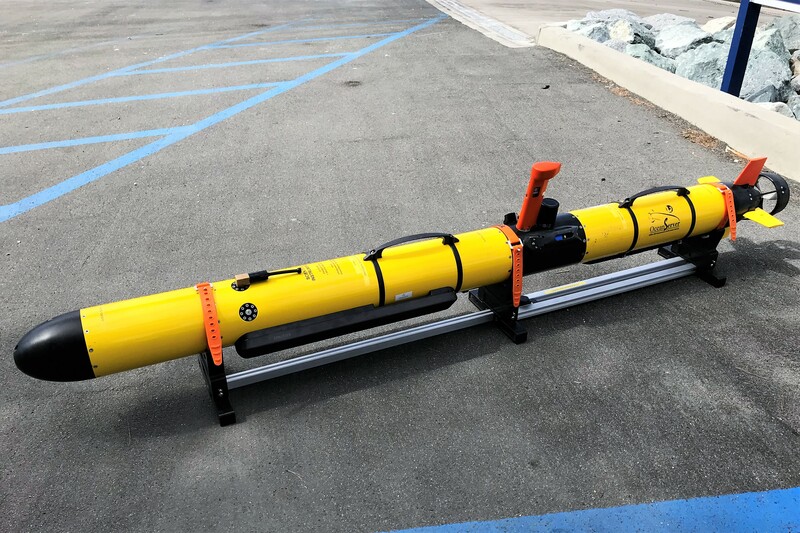 Made by L3 Corporation, it is an autonomous submersible that can be programed by computer to dive to the sea floor and map contours…pretty neat! While walking about downtown, we made a pilgrimage to the scene of our nuptials. Almost 53 years ago, in this very building, Kit and I were married! After a nice meal in our favorite Coronado Mexican Restaurant, we walked back to the RV park tired but pleased that we had a great day while amassing over 17,000 steps on our fitness app! Being on the coast, the beach just south of the RV park is excellent for kite flying, so I spent a few days doing just that! That kite is fairly large at 2.5 meters and the tail is 75 feet long! Had a great time in the sunshine on a secluded beach flying…and Kit equally liked the peace and quiet back at the camper! 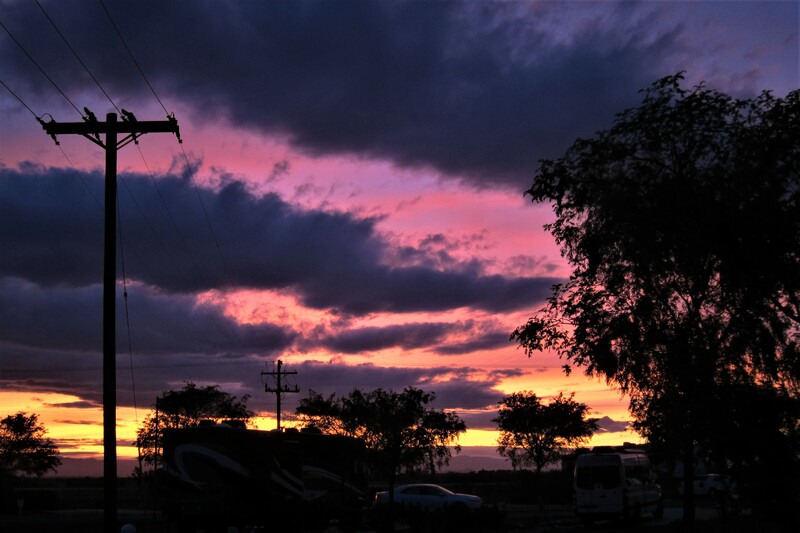 Kit and I enjoyed a really nice vacation, but as we sat outside, watching the sun set over the RV park, we came to the realization it’s time to get back to the business of being a traveling retiree. Stay tuned for more of Bill and Kit’s adventures in their ancesteral hometown! 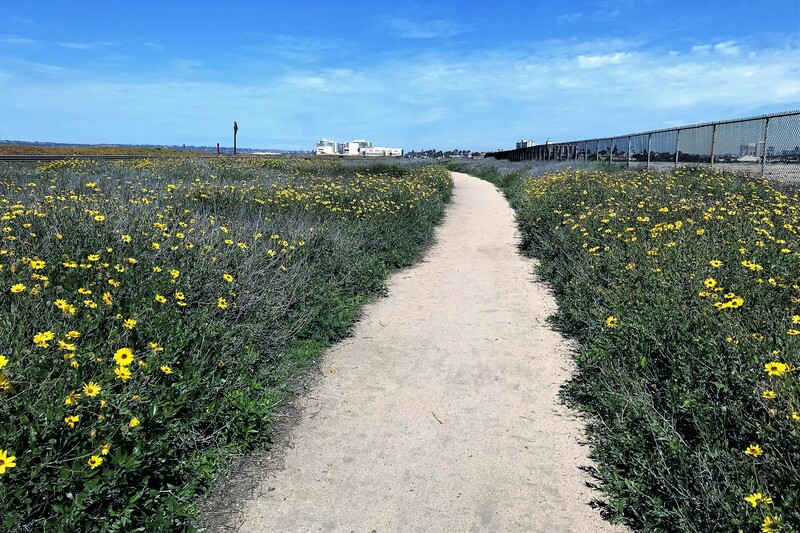 Kit’s Bit’s: I’ve decided that Potrero County Park and Fiddler’s Cove are my favorite parks while in San Diego. Potrero because it’s so remote and during the time of year we are there, it has very few campers. 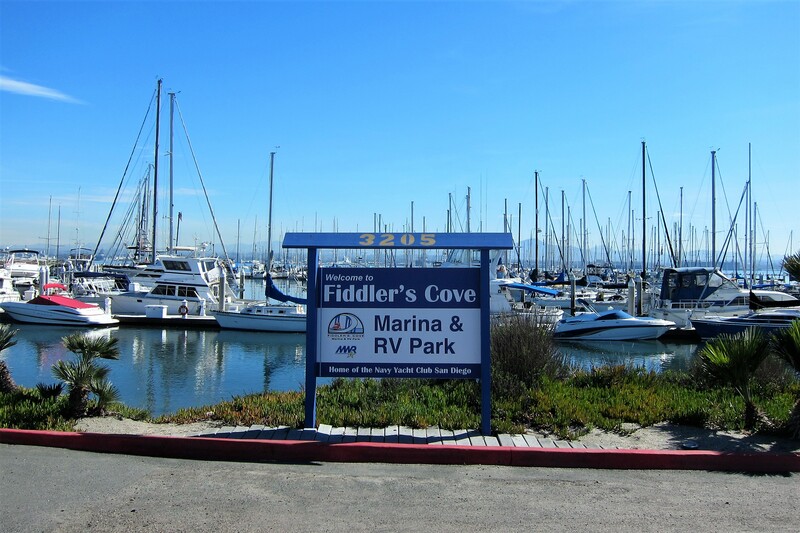 And, Fiddler’s Cove because it was where we got married and from the park, we can walk in to town for the day and, there are always cool breezes off the water. Plus, it’s nice to see the Coronado Bridge all lit up at night. 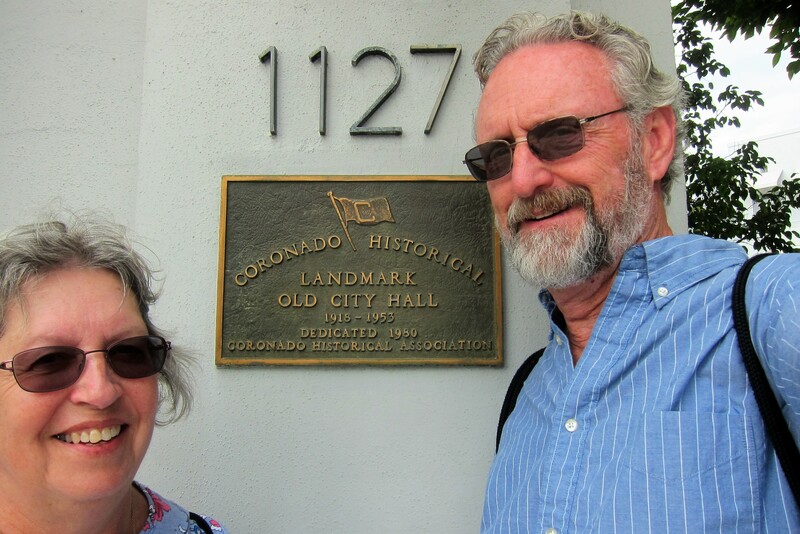 It was not there when we got married in 1965, we had to ride the ferry to Coronado. The bridge was built in 1969. And here is a night shot from our campsite across the marina with the Coronado bridge in the distance. Looks like a string of pearls! Lovely! Reading this issue has acted like a pain killer for me this morning! Thank you for that! When I woke up with a lot of pain I planned to take a pain killer but read your journal and the pain is gone! Only one more month of chemo! 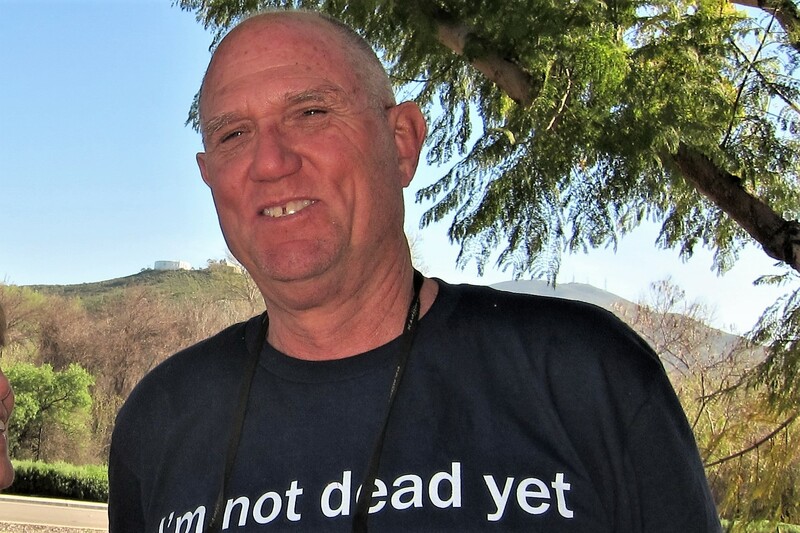 Bill, so glad you made a happy kite flyer out of Rodney! It’s always fun to nurture your passion in someone else! I have a question. Mild winter in the northeast?? Not exactly what I’ve heard or seen on our webcam on Coffee Pond. Have I been mislead? Miss you guys. Time to start enjoying your way east. Now that’s one of the nicest comments we’ve received on any journal…it made my heart very happy! Oh, and sharp eyed reading as well…should have read “Northwest”. Take care, hope you continue to regain your health…looking forward to seeing you folks soon! What a shot to start this journal! I realize you didn’t take it yourself but great tastes in selecting it for your journal. Love Saquaro Nat’l Park! I rode thru there on a Gold Wing..brought back lots of wonderful memories! ..So much to comment on in this journal …so little room. Loved the pics as always..Kit, great job on the pic of the rainbow over the mountains..beautiful! And that breakfast you made my mouth water!….Campsites at Potrero Park and in Coronado were great spots to camp…could stay for weeks there. ..I’ve got to get a kite! Ahh Potrero, nice little town. Rod and I had breakfast there one morning. So glad you 2 were able to get together. San Diego is a great place to peruse around. Love reading about your adventures, stay safe. 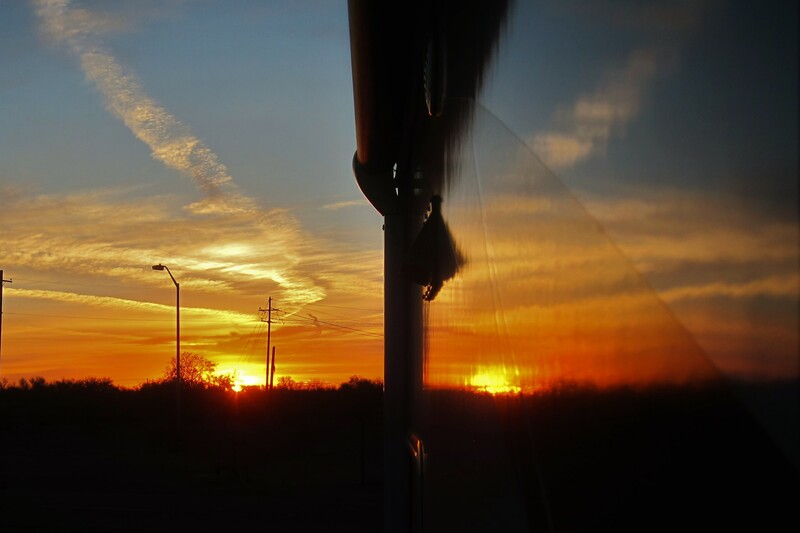 Wow, that picture of the sunset at Gila bend seemed to have two balls of fire on either side of the awning strut upright. That drive up the mountain into a pending storm, sounded a mite hairy!! The beach and marina pictures sorta warm me up anticipating some warmer temperatures here on MM bay. Quite cool and a dusting of snow last night. the mountains received some 2/4 inches with very slippery road conditions. 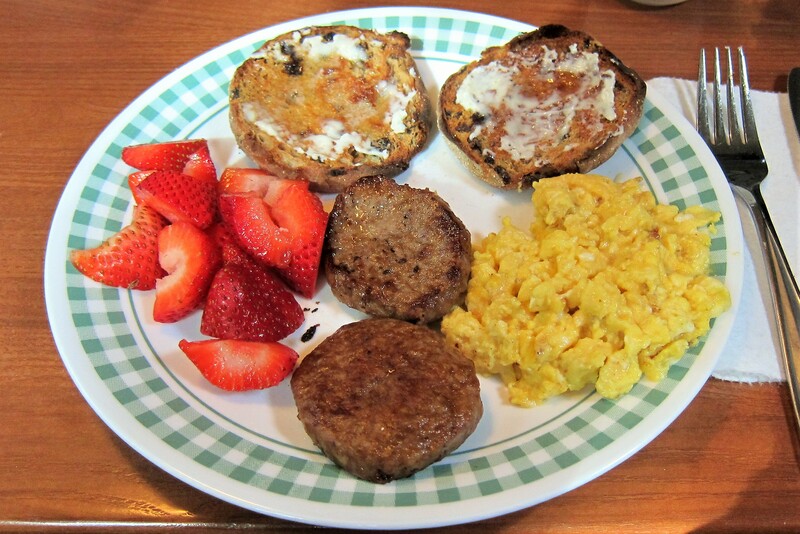 I to could almost taste the great breakfast Kitt prepared. we are in the process of building all new dock sections as well as 4 new sections for the sundeck. the docks are complete and we should start on the four deck sections next week. Dinner 4/19 at the Tuscan in Freeport with the gang. Be safe and we look forward to your return. San Diego brings many pleasant memories back to me from my youth. I so enjoy your detailed road trip and stays. Congratulations on your 53 wedding anniversary. Please continue to put a smile on my face as I vouyeur on your travels. Another fun adventure. Cool that u are back to your old stomping ground. when we could still stomp… enjoy and be safe. ps love the school bus converted over. u ever see them again?